With the growth of e-commerce and out-of-town shopping malls, smaller retailers have been suffering greatly. Causing the closure of many shops, this contributes to the local economy and liveliness of our streets. This is why Semaest, the in-house company of the City of Paris in charge of commercial revitalisation, has been developing various strategies to strengthen local commerce. Since 2014 they have launched the Costo programme which focuses on developing digital skills and creating connections between local shop keepers and digital start-ups. 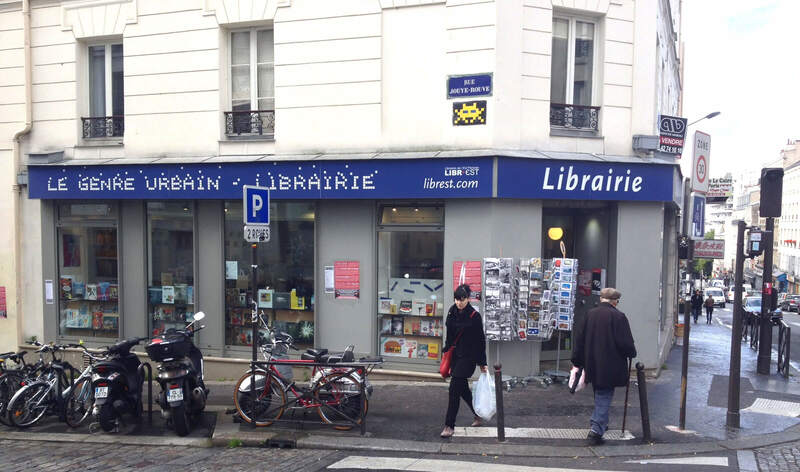 In Paris an artisan toy store or a bookshop with a cafeteria can be good reasons to visit areas not traditionally invaded by the tourists, or visited by residents. However, it would be quite hard for residents and tourists to be constantly updated on the new products and activities organised by the shops located out of the city centre without the web portals and pages or accounts on social media, that are contributing to make these shops more popular in recent years. Across Europe, the widespread and growing use of social media contributes to the visibility of small retail businesses during an era where retail has been revolutionised by global platforms as Amazon. Paris is so committed to defending and supporting small shops that is has developed an integrated strategy which gives social media a decisive role as a driver of economic growth. Participation in the URBACT Network Interactive Cities has reinforced the framework created by Semaest, Paris’s semi-public planning company which promotes economic development and commercial diversity in different areas of the city. One of the things that Semaest does is to buy and do up abandoned shops and then rents them at low market prices to revitalise areas of the city where small shops and services are gradually disappearing. This approach has enabled the company to support 465 tenants through all the different steps towards the creation of innovative, quality shops. This dialogue and support has heightened the company’s awareness of the risks posed by the e-commerce to the survival of the local businesses but also of the opportunities connected to the use of apps, web portals and social media, which can contribute to make local shops more attractive and successful. "We are very aware of the difficulties of the retail sector. In 2014 while the debate on the role of e-commerce and global platforms was rising, we thought we had to do something to push shop keepers to use social media, to have a website or to be present on Google Maps." Emmanuelle Emeriau - European projects coordinator, Semaest. In order to respond to the needs identified through dialogue with the tenants of their shops, in 2015 Semaest launched CoSto – Connecting Stores, a programme aimed at supporting shop keepers and artisans in the use of social media to promote their activities and attract new clients. Meetups and breakfast with the managers of the businesses were organised to discuss problems and give advice on how social media could enhance their visibility. What was supposed to be just an activity of technical assistance on digital topics soon became a pivotal moment in creating a community of people advising each other and testing strategies and techniques to get the best from social media. Posting contents regularly on Facebook or Instagram, interacting with users and promoting special sales or offers for the followers became daily activities for most of the 1250 shopkeepers involved in the programme, who engaged their communities and attracted new visitors in multiethnic areas as Belleville or Goutte d’or as in the nearby municipality of Montreuil. 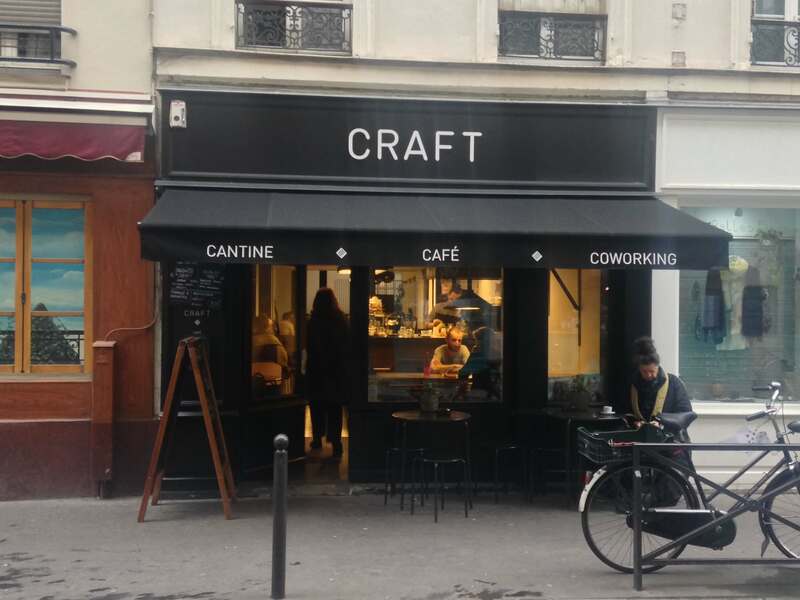 Many Parisian startups also got involved: The CoSto initiative helped startups and small shops to connect and collaborate. The objective was to make the shops a testing ground for innovative digital products and apps developed by young entrepreneurs. The calls for proposals launched by Semaest since 2016 brought ‘flash tests’ of innovative solutions on topics like green delivery or online visibility. Some of these experiences were consolidated and better structured through collaboration with the stakeholders involved in the Interactive Cities URBACT Local Group and became part of the “CoSto Pack”, a set of services and initiatives supporting shop keepers in Paris’s 18th , 19th and 20th arrondissement, the main target areas for Semaest. The digital platform Petitscommerces is an interesting example of how the collaboration between startups and local shops created growth both in the retail and digital sectors. Founded by the local startuppers Maxime Bedon and Jonathan Chelet, the platform supports proximity stores in their digital strategies, giving visibility to their stories and products through articles and pictures published on dedicated web pages but also giving them useful tools to better use Facebook or Instagram. More than 200 shops are now present on Petitscommerces.fr and the network is growing thanks to the word of mouth among shopkeepers. The platform is also expanding its presence to other French cities, such as Bordeaux and Nantes and now employ five people. Organic and craft products, independent bookshops and beauty farms are just some of the types of organisation on the platform, which portrays Paris as a city where small shops can really make the difference offering products and proximity services incomparable in terms of quality with big chain retail stores. The massive traction of Petitscommerces shows not only how promoting e-commerce and attracting customers through social media can create new incomes, but also how retail is socially connected and is an actor in urban well-being and participatory urbanism. These objectives are shared also by CMaRue, a local startup that launched in September 2017 a collaborative app giving residents the opportunity to chosse the businesses they would like to see in the empty shops of the 19th arrondissement. In one of the areas of Paris with the highest number of empty shops, the app is enabling residents to pin on a map the type of boutiques they would like to have in the neighbourhood: these preferences are then transmitted to the shop owners, who can use the suggestions to find the right tenant for their shops. "With CMaRue it is possible to mobilise people in advance, in favour of a business activity and not against it, collectively joining the needs of the neighbourhood." Nadia Tiourtite - Founder of CMaRue. In the first months of testing, there are already some positive results: an empty shop on Boulevard Indochine will host La fabrique Nomade, a workshop run by artisan refugees, thanks to the awareness raised by CMaRue on the topic of reuse of spaces. 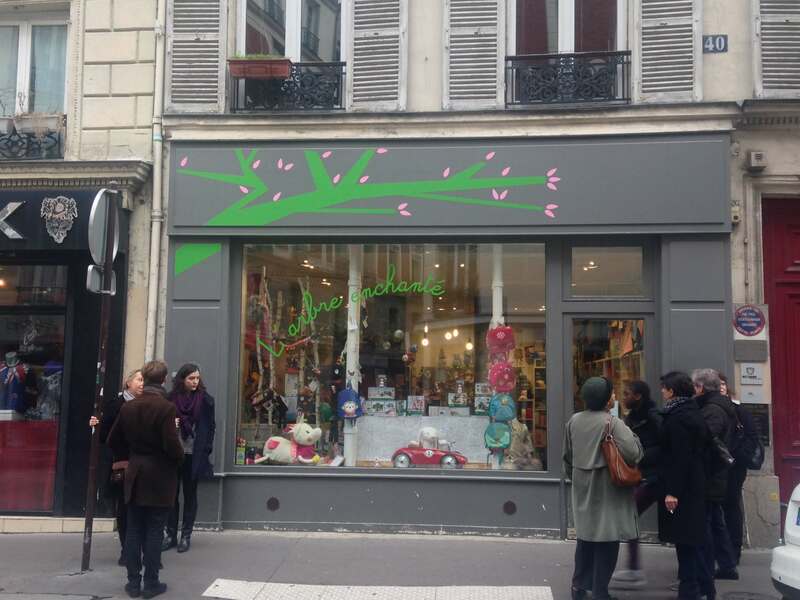 Petitscommerces and CmaRue are among the partners of the CoSto Pack that will be advertised to Parisian shop keepers through a common communication campaign on social media, the main output of the Interactive Cities Integrated Action Plan. The promotion of the wide range of tools and initiatives backed by CoSto on digital topics (among them a crowdfunding platform created by the startup Tudigo and the training on digital topics offered to unemployed people in deprived areas of the city) will contribute to promote new socio-economic areas in the Northern area of Paris and attract new startups and investors. But is not all about business. The extensive and integrated use of social media is also promoting community spirit and a sense of solidarity among local residents. An example of a relevant initiative promoted by CoSto is Le Carillon, a charity association creating with their social media tools a network of shop keepers who offer their support to homeless people for basic needs, such as the use of toilets or charging phones. Another example of combination between online tools and activities hosted by unusual places is Lulu dans ma rue, a neighbourhood concierge service connecting residents who need local services like home improvements or computer assistance and those who can offer such services at a reduced price. Conceiving a new role of social media and digital platforms as facilitator and multiplier of solutions co-produced by a network of shop keepers, start-uppers and civic officials is the mission accomplished by Interactive Cities in Paris. The city is reimagining the retail of tomorrow while testing concrete actions that are gradually changing streets and neighbourhoods. Engage with, and identify the needs of, local shop keepers: help them identify their problems and how digital solutions could help. Involve the neighbourhood: position the relaunch of the shops not just as an issue of individual small business but as a common goal for the entire community. Involve digital start-ups: create a programme that supports shop keepers and start-ups to develop joint solutions. Prototype: Create pilot solutions that can show their potential and which can be further improved. Communicate: it is essential to create a city wide ecosystem in which ongoing activities can resonate and reach a broader audience.